A storm approaches slowly. The air is crisp though warm, puffy clouds float amongst the blue of the sky. In the distance, darker, more ominous clouds are gathering. They say it’s Armageddon. I suspect they’re wrong. There will be weather but there is supposed to be weather this time of year. Since we haven’t had any of late, it’s much bigger news that it might otherwise be. I love when the air feels alive. I actually heard somebody say that the other day and it rang so true. The wind blows. There is an electrical charge that pulsates throughout, like static electricity. Touch something and it snaps and sparks. The air flicks. The wind swirls and gushes, teases the trees and the flowers, ruffles the hair. Birds flaps and fly, and soar, chasing each other up and down and around before coming to a screeching halt atop the building. You can hear the sound of their wings as the pulse through the air. Butterflies hover and alight. Moths do the same. Small flying insects cruise about, looking for access to the light, the house. The wind helps them as well. Sunlight streams through the upper windows of the house, the windows up near the ceiling some 16 feet up. Maybe even higher. They cut across the wall, horizontal glass that’s been UV coated so as to hopefully curb some of the fading that inevitably occurs because of the sun. Below, dust particles dance in each stream. I am forever amazed at how much is actually inside the air, things we can’t see until we can. I am dust particles in sunlight, I am the round sun. I used to joke to those back east that I didn’t trust air I couldn’t see. They thought it was hysterical, given that I lived in Los Angeles and LA had long been known for its smog problem. When I was in college and visited California for the first time, I spent a day or two in Los Angeles. I remember driving up from San Diego thinking that the air must be so dense with emissions tat you couldn’t see anything. A really dirty fog bank. It was nothing like that of course. The sky was blue. Yes, there was a bit of smog but it hardly affected the views or visibility. I saw an article today about China and their horrendous smog problem. There was a picture of a man walking his golden retriever. Both were wearing surgical masks to block out some of the bad air. All around them was smog, making visibility only about 16 feet or so. Scary stuff. The air in China is alive in a completely different way; not a good way. 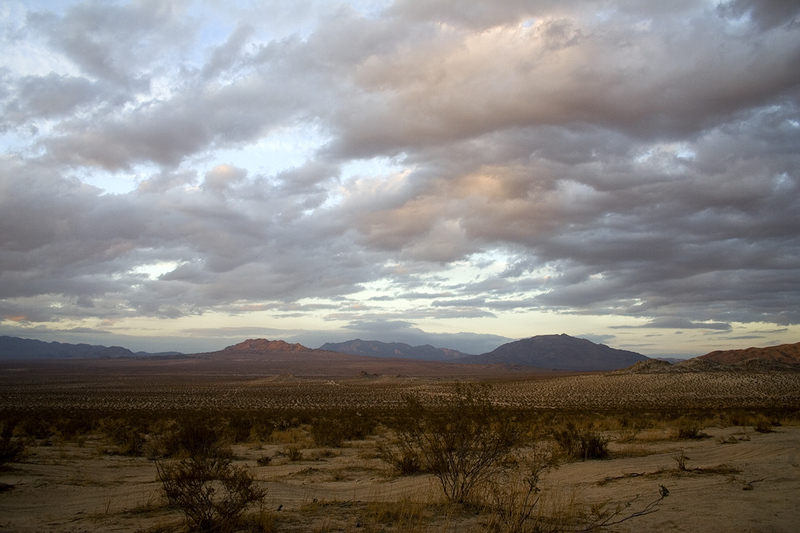 Clouds are rolling in over the desert, filling the air. Those that were fluffy and white seem to have left for drier prairies. These clouds are heavy, a brownish gray, ready for rain. The air is getting thicker even as the winds pick up. A storm is coming and it will be glorious. It will drench the earth, cleanse the soul. It will be difficult while it’s happening, but once it’s over the air will be clearer, cleaner; crisper. Reborn like tomorrow. Another metaphor for life, much like the air being alive. A living, breathing entity that surrounds us, keeps us true, it can spark with furry and dissipate in the wind. And then, it can dance in the shafts of the sun. That’s what life is all about. I’ve mentioned before about my fascination with the discarded items often seen on the roadways, sidewalks and parking lots of the southwest. I have no doubt that these items, or their brethren, are also in the northeast and Midwest. We’ve seen countless shoes, which we refer to as lost soles, and gloves, know to us as idle hands; hats. There are often children’s toys, dolls, stuffed animals, matchbox cars, tiny army men. Couches, chairs, tables and pillows. Ladders and tools. We’ve even found cell phones. Rarely do I see books, but today on our morning walk with Cooper there were three pages to a book lying in the parking lot we walk through on our way to another sidewalk. Kevin picked them up because it was paper; trash. He often picks up errant and obvious trash as we walk, depositing it into the various dumpsters we encounter in parking lots. I asked to see the pages and he handed them to me. As Cooper picked his way through the bushes and along the gravel, stopping to sniff first and then to pee, I looked at the three pages, numbering 313 and 314, 317 and 318, 319 and 320. It was the beginning of a chapter called Issues: A very brief overview. Based on the page numbers, it was obviously at the back or end of the book. At the top of left or even pages, was the author’s name: M. L. Rossi. At the top of the right, odd numbered pages was The Big Picture. A quick glance at the content showed some information about the world and defense and cars and oil and dirty politics. Sounded interesting. “I think there’s a blog post in here somewhere,” I said as I tucked the pages into my pocket. Here’s a little secret: I am constantly looking for a blog post topic. Sometimes they present themselves easily; sometimes I have to truly dig deep for something, anything to write about. And then there are the mornings when we’re out walking and I find something on the ground. These pages, it turns out, are from a book entitled “What Every American Should Know About the Rest of the World: Your guide to today’s hot spots, hot shots and incendiary issues. It’s written by Melissa L. Rossi. According to the American Library Association Booklist: This may be the perfect book for paranoiacs, conspiracy buffs, fans of Michael Moore, and just anyone who thinks the people running the world don't have our best interests at heart. … Rossi's premise is simple: there are people and organizations running the world from behind the scenes of government and commerce, and us ordinary folks would be wise to know who they are. Rossi is an award-winning journalist who has written for Newsweek, Newsday, Esquire, George, MSNBC and the New York Observer. She has also written a number of incendiary books, evidently. Note: The book was published in 2003. I wondered who had been reading the book and why only these three pages were on the ground. What had happened to the other 397? I was also intrigued by the words The Big Picture. Rossi was obviously referring to an overview of everything that happens in the world in regards to weapons and arms and why it is such big business for almost all countries. But The Big Picture could just as easily been about how we all fit together in this vast puzzle called Earth; how each piece has to have the exact ingress and egress so that the next piece can snap into place, making room for the one after that. People, animals, plants, buildings, cities, cars, states, provinces, countries; oceans, rivers, fish, reefs, ships and boats. Trash. The big picture is how we interact, how we react; how we fight, how we makeup. How we see art, how we make art. How we love. In the first line of these three pages I found, the text reads: “Love doesn’t make the world go round, arms sales do.” Cynical and true. Whoever had these pages before I did, perhaps when they were still bound in a book, had crossed out “arms sales do” and written in pencil “music does.” I like that philosophy. I think I’ll call it the philosophy of trash, and on this first Saturday of 2014, it’s one worth celebrating. Spending our first holiday season in the Old Pueblo has introduced us to a number of new festivities. There was the snow at La Encantada, blasted out of mini snow machines at 6 and 6:45 on Friday and Saturday nights as carolers sang below. It was actually very Christmasy, and certainly cold enough for snow. That’s something we had not expected in our move from Southern California. It gets cold there, to be sure, but it seems colder here in the desert. I’ve spent the last weeks bundled up even in the house. The night we went to La Encantada for snow, we had to duck into a local restaurant and sit next to their fire so I could get warm. It felt very much like the holidays. The spectacle that is Winterhaven is quite something. This is a neighborhood not far from here where they’ve had an annual Festival of Lights every year since 1949 when a man named CB Richards created the small residential area. It was Mr. Richards who purchased the first lights used in the first festival. He also purchased the Aleppo pine trees that line the neighborhood, quite out of place in the desert, except during the Christmas season when the temperatures often curl around 30 degrees. There are electrical connections near each tree so that hundreds of thousands of white, red, blue and green lights can blaze beautifully, in the trees and on the houses. Those lights have shown brightly every year save one, during the energy crunch in the 1970s. It’s a stunning display and something Kevin and I had never experienced before moving here. What’s even better is that cars are only allowed on three nights, and two of those are after Christmas. The Festival is free but the residents request a donation of canned food. In 2012, they raised nearly $21,000 and offered approximately 34,000 pounds of food to the local food bank. Many homes outside of Winterhaven also decorate for the season. As newcomers we wondered if somehow the Dark Skies Ordnance, which dictates there be no bright lights at night, including street lights, would preclude people from putting lights on their houses and dancing reindeer in their front yards. We needn’t have wondered. Many trim their homes in lights, and wire-framed reindeer graze merrily. Luminarias are also plentiful. These candlelit brown paper bags are also called farolitos, meaning little lanterns, which according to my research may or may not be the correct term. The tradition of using these small lanterns first began in the 16th century as a way to light the way toward Midnight Mass on the final night of Las Posadas, a reenactment of the story of Mary and Joseph and their search for an inn in Bethlehem. I’ve long loved the look of luminarias. In the past, paper bags were filled with sand and a candle was placed inside. Today, there are electric luminarias, undoubtedly safer and easier, though not quite as eerily beautiful, with the live flame contained and dancing inside the bag. Experiencing the holiday season in Tucson has been one of wonder and joy, an adventure in finding the right coat to wear. For 25 plus years, our Christmases were spent in Los Angeles. While we didn’t have family there we did have our closest friends, our chosen family. We would all gather for Christmas dinner; the day after would be spent wine tasting in Santa Barbara county. It’s hard to move to a new area and I worried about the holidays especially. I wondered if we would be lonely, if we’d find new traditions. What we’ve found is a city alive with spirit, and color, and lights, and that this season – my favorite – is bursting with local traditions, new to us, perhaps to others as well. From light festivals like Winterhaven to the historic Arizona Inn, where 2500 tiny lights are strung on a 16 foot tree that’s then decorated with glass, wooden Santas, colored tin ornaments from Mexico, white doves and more we have found music, snow, theatre and Tucsonans making merry. We have a tree in our new home, my Byer’s Choice Carolers collection, and a simple wreath on our front door, one with white lights and flocked snow. At night, it illuminates the drive and lights our way. Each evening, when the temperatures drop and Christmas lights blaze to life, the new traditions present themselves readily. We put on a heavy coat and a scarf, gloves for our hands, and with our beloved Cooper in tow, off we go to walk through our local neighborhoods, breathing in our new city and its festivities. We find ourselves marveling at the decorations, listening to the sounds of children playing and dogs barking, of shoppers rushing to and fro. We’re at home here – we’ve come home – and we’re embracing our new lives in the Old Pueblo. Feliz Navidad indeed. We had a list of things to do today when we left the house including visit Bookman’s on Grant, an eclectic shop of used and new books, musical instruments and vinyl. From 1 – 4 today the Amazing Aussies of Arizona Rescue group, that rescues Lethal White Australian Shepherds, dogs that have been improperly bred so that they’re deaf or blind or both, was going to be there and sponsor the Christmas wrapping table. I’ve long supported them; my sister does as well. Today is Khris’ birthday and I knew she would love a video or two of the dogs. Mission accomplished. We also wanted to go to an import place called Colonial Frontiers that has doors and ancient water urns and furniture. We were going to hit another antique place east of us on our way out to check on the dirt and the progress made this week in grading and the placement of footings. It was cold and threatening rain when we got on the motorcycle, once again decked out in our leathers to guard against the wind and descending temperature. If we’d been on a freeway it would have been miserable, but we weren’t so it was merely chilly. We found Colonial Frontiers, and our day came to a screeching halt. We found ourselves in the Lost Barrio, in the warehouse district of Tucson, just before you get into downtown. We had no idea the store was located there, not that it would have mattered. Until today, we didn’t really know much about the Lost Barrio. We had heard it mentioned; the name alone sounded intriguing. But we hadn’t actively sought it out. A barrio, officially, is a neighborhood where the predominant language is Spanish. The Urban Dictionary says that it’s the Spanish term for the “hood, or ghetto. This certainly didn’t seem to be in the ghetto, whatever that means. We turned south on Park, off of Broadway. Downtown was straight ahead, its glass buildings stoic under the clouds. There wasn’t much traffic. Graduation from the University had happened earlier and the school was cleared out for Christmas break. We parked in one of the many spaces out front, climbed off the beast and made our way into the store we’d traveled to see. We walked in and both of looked at each other: we’re going to be here a while. It was essentially a warehouse filled with teak doors and furniture and pottery, all from the late 1800s, early 1900s. Some of it was from the Far East, some from England, some from Mexico. We found doors that we like, as well as an art deco table that attaches to a wall, perhaps perfect for the new powder room. I fell in love with an enormous water urn from Mexico, circa 1900. Its hand made, at least four feet tall, red brick clay with bits of mosaic tile. I want it for the entry way. We’ll see. Then we went next door to a place called Petroglyphs and we both looked at each other: we’re never leaving this place. It was all eclectic art, furniture and accent pieces. They had wind chimes made from motorcycle exhaust pipes; others made from pieces of steel oxygen tanks. We found hand-silkscreened lamp shades for our two stone lamps and bought them. Because we were on the motorcycle I had to go back later to get them, but it was OK. They were just what we needed to replace what we had and make our lamps look like new. They had furniture made of wood, stone and iron, all melded together; sculptures, paintings, tiles. Sadly, we left and moved next door to Southwest Furniture and Design. We looked at each other: we’re going to end up spending a bunch here. The furniture was all hand made and while we’re not really in the market for furniture, we are in the market for doors. Interior doors, an entry way door and a wine room door. They hand make all of their doors, from alder or mesquite wood. They do kitchen cabinets. We talked to the owner, a lovely woman named Ana. Her brother is her sole vendor. He makes all of the doors. We’re going to meet with them after the first of the year to see about them making some, if not all, of our doors. To be able to do that locally would be amazing. We support local businesses and these businesses in the Lost Barrio are quite the find. From furniture to doors to art, they have just about all of the accents we need for the house. Off of a small side street, in the middle of a ‘hood, on the way to the city. We fell in love all over again with everything this wonderful new town of ours has to offer. Art, ideas, craftsmanship. It’s truly extraordinary and serves to reinforce the reason we moved here. It’s about the atmosphere, the mood; the creativity. The Lost Barrio typifies the city. What a find indeed. Regular readers know that I’m a dog lover. On my Facebook page, most of my page likes are dog-related. When I post, it is often a picture of Cooper doing something Cooper-ish. Before Cooper, I posted pictures of Maguire being Maguire. Most if not all of my FB friends are animal lovers and many devote a great deal of time to animal rescue organizations. I always marvel that they have the strength to surround themselves with dogs that have been horribly abused and neglected. They take these creatures into their homes, foster them back to health and then work to re-home the dogs to a family that will love them like they’re supposed to be loved. My friend Diane has long been involved in animal rights and rescue groups, and currently spends a great deal of time fostering puppies often accompanied by their mother, animals that have been dumped at an animal shelter and are scheduled to be euthanized. Instead, she has converted her garage into a puppy den. I asked her once how many puppies she had nurtured. I don’t remember the total but I believe it was in the hundreds. She currently works with an organization that, until she started working with them, I had never heard of. This isn’t necessarily relevant because there are dozens of animal rescue groups in every city in the country. Only the big ones seem to get press. But this one is becoming bigger and getting more press. Today there was a story on Huffington Post. Meet Bill and the foundation named in his honor. Bill was a 10-month-old Golden Retriever and Lab mix that Jo and Peter Forman found starving and filthy, foraging in a trashcan for food. It was August of 1988. Dog lovers, the Forman’s took him home, gave him a much needed bath and fed him some quality food. He became part of their family and brought laughter and joy for another ten years before dying of cancer. That’s when Jo and Peter decided that if they had saved one dog, they could save other dogs that had been abandoned, neglected and abused. It’s a common meme in the animal rescue community because they all have a common goal. The amount of animals that are abused never ceases to distress me. I read the stories and I find myself in tears, wondering and asking to no one in particular and to humanity at large, how could a human being do this to a living creature? Just in the last few days someone posted on Facebook about a family who had moved out of their Palmdale home and left their dog standing in the driveway, watching them drive away. This kind of story is one posted too often, as are the stories of animal hoarders and those of abuse. Also this week I read about a Massachusetts puppy they’re calling Puppy Doe, who was tortured and killed. There is a reward of at least $5000 being offered by the police and local groups to find who committed un-shareable horrors on an innocent pit bull. Today, on HuffPo, there was a story about a severely neglected dog named Carly who had been dropped at a Los Angele Animal Shelter. Annie Hart, who runs Bill Foundation, didn’t know which one so she recruited a team of volunteers to go look for the little dog with the matted fur and the horrible eye and skin infection. It took four days but they found her and took her to a vet who shaved away the matted fur and worked to treat the extensive skin issues. Vets who work with rescue groups are used to seeing abuse cases. They are no doubt appalled but they treat the animal and then release the dog into foster care. But this vet fell in love with Carly, so much so that she fostered the dog herself until she could be placed in her forever home. That was in May. Carly is now happy and healthy, and living with a loving family. It’s hard to watch at first, but it has a very happy ending because of Bill Foundation. Bill Foundation, named for the beloved Golden Retriever Bill, works continuously to save dogs. Their tagline is “Dog by Dog” and their philosophy is that it takes a village. They have a community of volunteers, donors, fosters, adopters and fans who are as inspired as Diane, as inspired as all of us, to help. Dog by dog. That’s worth celebrating every day. My mother will cringe when she reads this though she will also nod and smile in recognition of the 1970s, a time when hair and fashion were as bad as much of the music. Not all of the music of course. The 1970s gave us James Taylor and Carole King and Jackson Browne and the Eagles and Linda Ronstadt and Elton John. But the 70s also gave us disco. The 1970s were also when I discovered Sonny and Cher and specifically Cher. I think it started when I would hang out at my friend Jeanie’s house. We were probably in 5th or 6th grade. She had a Sonny and Cher album and one night when I slept over, we watched The Sonny & Cher Comedy Hour. I hadn’t heard of them before that. It was a riot. From then on I was a fan, not so much of Sonny but of Cher. I thought she was glamorous and funny and I loved to listen to her sing. Truth time: I still do. That’s my guilty pleasure. I’ve grown up since those days listening to her heckle her then husband soon to be ex-husband but I still love to listen to her songs, past and present. I mean, come on, Gypsys, Tramps & Thieves was a great song. As was Dark Lady and Half Breed. When I’m listening to music from the 70s and one of her songs comes on, I crank the volume and sing along. The Way of Love was also a song I enjoyed. She’s not a good singer but she has some sort of presence, and she’s fun. Cher and I lost touch for a few years. I watched her appear in movies like Silkwood and Mask, The Witches of Eastwick and one of my all time favorite movies to this day, Moonstruck. That was 1987. In 1989, she released an album called Heart of Stone that included the song If I Could Turn Back Time, which I still have on my iPod. I love that song. It’s anthemic in a Cher sort of way. I suppose that’s the last Cher song I liked. I hated Believe. It was way too 70s for a time that was almost into the 00s. But it was one of her biggest hits. Not bad for someone who started her career in 1963. This morning, the woman formerly known as Cherilyn Sarkisian LaPiere Bono Allman, was on NBC’s Today. I don’t watch NBC or any network in the morning but NBCNews.com is my home page and they often put up video clips from some of their news shows. This morning there was a clip of Cher so naturally, since I still like Cher, I watched. She’s 67 now. She’s had too much plastic surgery but she’s still got it, whatever “it” is. She had Moonstruck kind of hair again, big and black and curly and she was dressed in what I would call biker chic, all black with accents of silver. She has evidently released a new album called Closer to the Truth. She also announced a new world tour, this after her Living Proof: The Farewell Tour of 2002. I didn’t see it; I won’t see this one. I like Cher but not that much. I won’t buy the new album either because the song I heard this morning did nothing for me. It was still a little disco-ish and as much as I like 70s music, I draw the line at anything with a dance beat. I did however buy The Very Best of Cher in 2003 and yes it does contain Believe. She was typical Cher this morning. Droll, funny, irreverent. She sang her new song, though I suspect she was lip syncing. And that’s OK. Even nearing 70, she still struts around on the stage, still pulls off a few dance moves. Cher has staying power. She is or has been a singer-actress-songwriter-music and film producer-film director-comedian-television host-model-fashion designer-dancer-entrepreneur. She’s a diva and makes no excuses for it. I’ll never be a diva but I love that she continues to make herself relevant in an ever-changing environment. That’s not just a guilty pleasure; that’s a roll model.